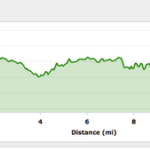 Even though the Georgia Half Marathon is a hilly race that I moan about everytime, it is one of my favorite races and a great reason to keep fit through winter. 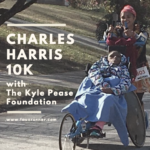 Running the race with The Kyle Pease Foundation makes the race even more special to me. 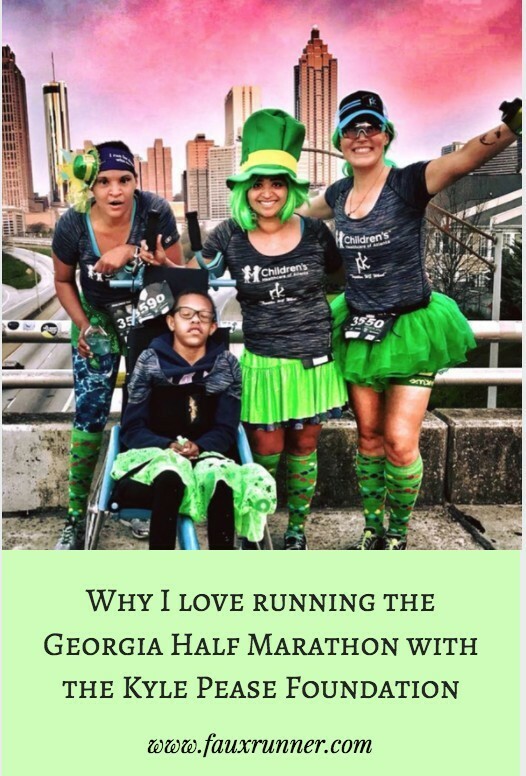 Here are some reasons why I love running this race with the Kyle Pease Foundation and why you should join us next year! 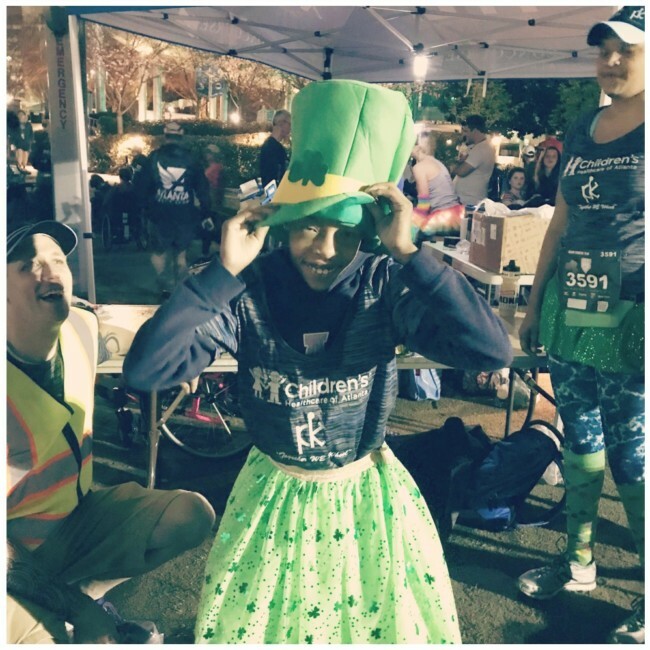 1.Our athlete Naomi is a sweetheart! This year she was awake the entire race and was able to look around and enjoy with us. 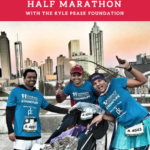 The Kyle Pease foundation has grown from the original Brent-Kyle pair to 58 athletes and continues to grow. 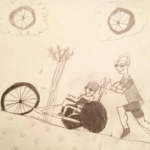 I can’t think of a better way to give back and be involved in inclusion. 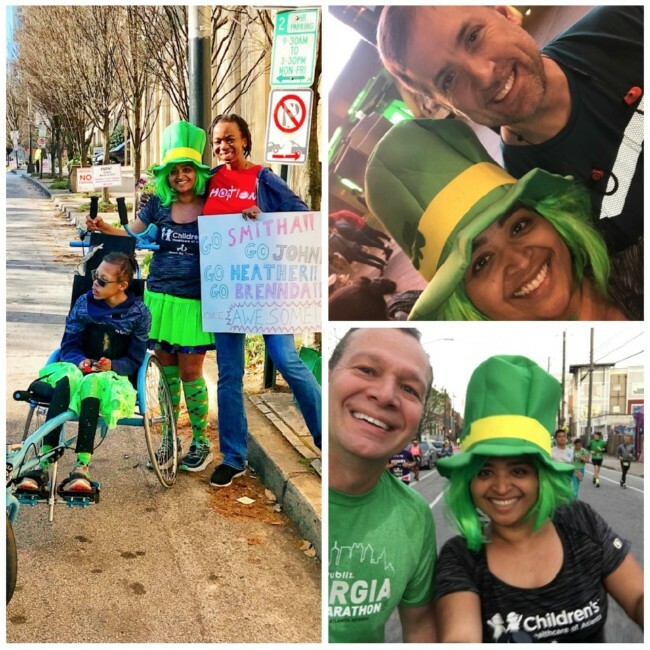 2.The race is around St. Patrick’s day each year, this year it was the day after. 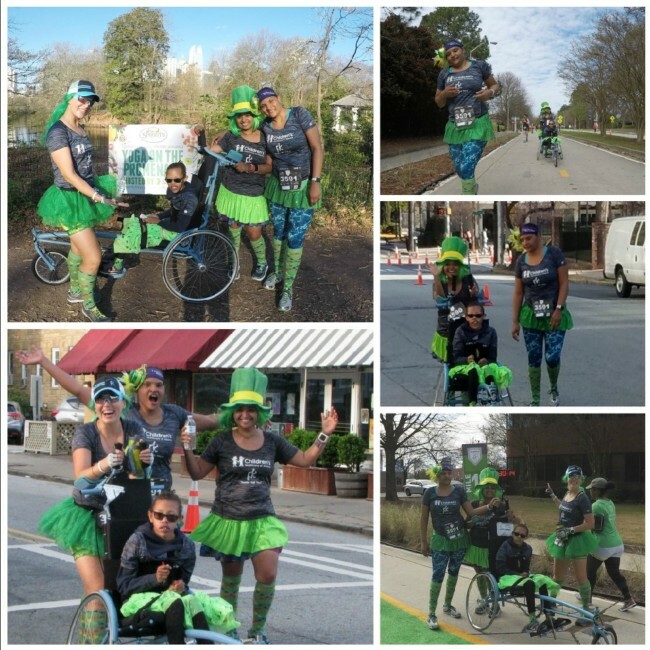 And with our green-ness, we had plenty of fun and cheer on the road and were asked if we just didn’t go home after the partying! 3. 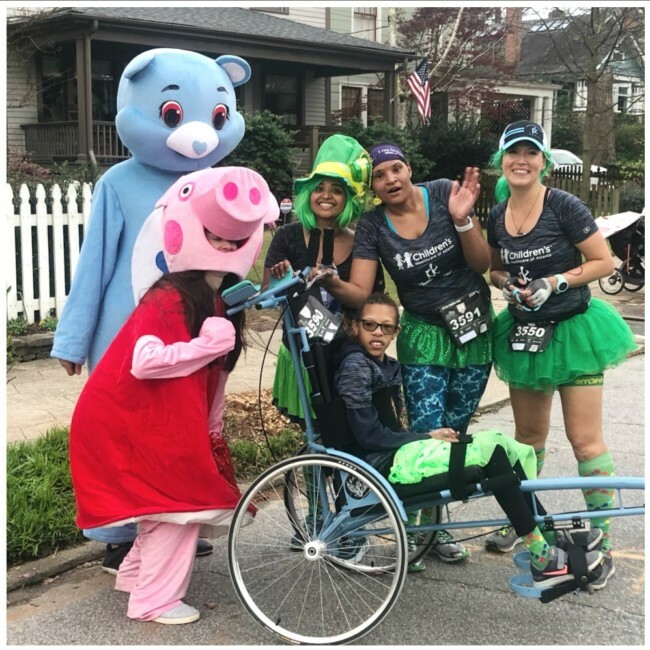 Where else do people in neighborhoods come out to cheer dressed as Peppa Pig! 4. 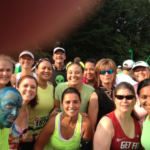 I doubt that I’ll ever run into so many colleagues in any other race. So many stopped by to say hello or a quick selfie, even though it must’ve come as a shock to them to see their usually dressed in professional clothes colleague now in a green wig, green top hat and a green sparkle skirt. 5. My own cheer squad? Sign me up! 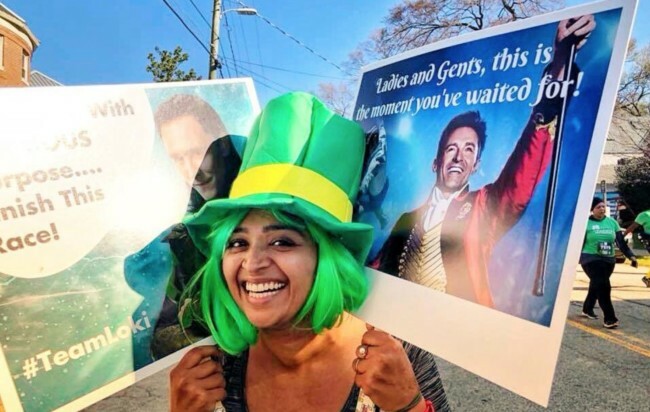 Julie and Julia (#TeamLoki) were there this year too and they brought along The Greatest Showman. Tom Hiddleston AND Hugh Jackman – what’s not to dream and sing about! 6. 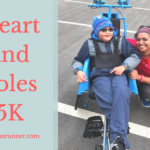 You often hear of milestones in races. 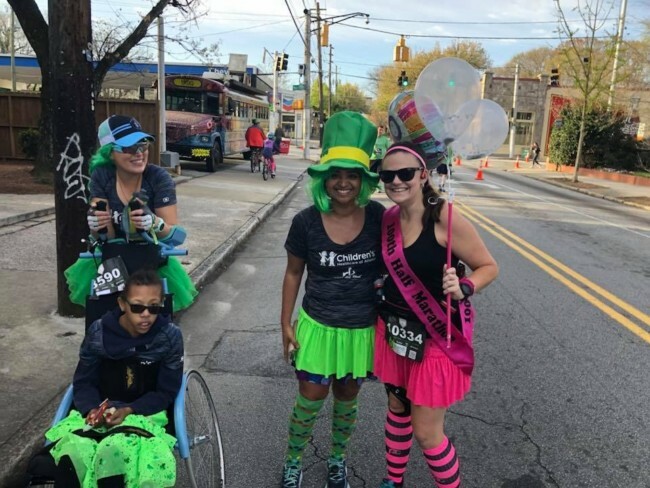 In this hometown races, you can actually SEE a milestone in progress – Brandi aka FunnerRunner completing her 100th Half Marathon. Her 100th! Let that sink in for a moment…. These are some of the weekly linkups hosted by great bloggers. Check out some of the posts in the linkups.